In physics there is a notion of ‘bifurcation point’, which denotes a critical state of a system when it becomes unstable and, under the impact of even minor external events, can shift to a lower or, on the contrary, higher level of self-organization. In a certain sense, the developments in Ukraine are such a ‘bifurcation point’ for the whole world of Orthodoxy. The decisions made today and actions carried out determine in many ways the future life of the Orthodox Church, possibly, even for many centuries. In this situation, it would be wrong to step aside alluding to the fact that it is Christ Who is the Head of the Church and let Him handle everything Himself. Certainly, He and He alone heads the Orthodox Church but the Church is a divine-human organism and the Saviour rules over it co-working with people and taking into account both our right and wrong wishes and actions. Therefore, pseudo-humble self-retreat from arising church problems can lead to the worst of all possible results. All the Orthodox Churches of the Orthodox world have entered a difficult period of decision-making on the Ukrainian religious organization created by the Patriarchate of Constantinople (hereafter PC) under the name of ‘The Holy Church of Ukraine (hereafter HCU). To make a crucial decision it is necessary not only to know the real situation in Ukraine, in which an absolute majority of the Orthodox people are against the autocephaly imposed by Constantinople (2/3 versus 1/3), but also to make a thorough examination of the document – the tomos of granting autocephaly to the HCU as it is addressed not only to the Ukrainian schismatics but also self-ordained clergy . Its statements have placed the entire world Orthodoxy in a new, so far unprecedented situation. Are representatives of Local Churches fully aware that by recognizing the HCU on the basis of this tomos they also accept its substance? By crossing the line of ‘acknowledgement’, the Local Church will get into a trap from which they will not get out. Then what does the danger lie in? What is it that everybody who recognize this tomos implicitly agree with ? In the tomos, our Lord Jesus Christ has never been called the Head of the Church but rather only named as its Founder: “under the Founder of the One, Holy, Catholic and Apostolic Church, our Godman Lord and Savior Jesus Christ”. In the tomos, Christ is never called the Head of the Church but only named as its Founder. Neither is “His Beatitude the Metropolitan of Kiev” called the head of the HCU; he is named only as “the first” and “Primate”. The notion of the head of the Church on the universal scale is clearly assigned in the text of the tomos to the Patriarch of Constantinople while representatives of the newly created Ukrainian structure should clearly see that they have no independent head of their own: “the Autocephalous Church in Ukraine knows as its head (κεφαλὴν) the most holy Apostolic and Patriarchal Ecumenical Throne, just as the rest of the Patriarchs and Primates”. This phrase alone makes the CHU autocephaly null and void, for autocephaly is the independent self-reliant heading of a Local Church by the primate elected and approved by its own Church Council as reflected in the term “autocephaly” (from Greek αὐτός – “himself” + κεφαλή – “head”). In the Orthodox Church it unthinkable that an autocephalous Church should be headed by a representative of another Local Church. However, this phrase demolishes the autocephaly of all the rest of Local Churches, for it is stated “just as the rest of the Patriarchs and Primates”. That is, this principle, according to the tomos, is applied to all the Local Churches and all their primates and, most importantly, they allegedly accept it. When and where did the PC receive from the Local Churches their consent to consider the Patriarch of Constantinople to be their head? It is stated that “just as the rest of the Patriarchs and Primates” consider the Patriarch of Constantinople to be their head! It is difficult to get rid of a disturbing feeling that representatives of other Churches have not yet properly read the text of this tomos because if they had become aware of its substance their reaction would have been explicitly negative; for this statement does not only devalue the HCU “autocephaly” but essentially denies the full-fledged autocephaly of all the Local Churches and declares the heresy of Constantinople’s papism, with which everybody allegedly agrees. Recognition of the Patriarch of Constantinople’s right as supreme peremptory judge over all the clergy of all the Local Churches. The tomos states it plainly, “…preserving the right of all Hierarchs and other clergy to address petitions of appeal to the Ecumenical Patriarch, who bears the canonical responsibility of irrevocably passing judgment over matters related to bishops and other clergy in local Churches”. It is important to point out here that the PC’s supreme legal power has been declared not only over the HCU clergy but also over all the clergy of the world Orthodoxy. Now they can litigate in Istanbul, and decisions made there should be accepted “irrevocably” by any Local Church. References are made in the tomos to Canons 9 and 17 of the Fourth Ecumenical Council, in which there is not a single word about the right of the Patriarch of Constantinople to judge representatives of other Local Churches. The most authoritative Byzantine canonist Zonaras, in his interpretation of Canon 17, unequivocally denies this right to Constantinople: “It is not over all without exception that the metropolitans install the Patriarch of Constantinople as judge, but only over those who are subordinate to him. He cannot take metropolitans of Syria, Palestine, Phoenicia or Egypt to his court against their will; as metropolitans of Syria are subject to the trial by the Patriarch of Antioch, the Palestinians – to the trial by the Patriarch of Jerusalem, and the Egyptians must be tried by the Patriarch of Alexandria, as these Patriarchs consecrated them and to them they are subordinate”. And St. Nicodemus the Hagiorite, commenting on these canons in his renowned “Pedalion”, categorically insists that “The primate of Constantinople has no right to act in dioceses and regions of other patriarchs, and this canon does not give him the right to accept appeals on any case in the Universal Church”. Adducing a great deal of arguments, St. Nicodemus makes this conclusion: “At present… the primate of Constantinople is the first, only and last judge over metropolitans subordinate to him, but not over those who are subordinate to the rest of patriarchs. For, as we have said, the ultimate and universal judge of all the patriarchs is an Ecumenical Council and none else”. It unequivocally follows from the above that the PC has no canonical right to cancel court orders made by other Local Churches. At the same time, the Patriarch of Constantinople has become altogether extrajudicial. Theoretically, he could be judged by an Ecumenical Council but he has usurped the right to convene it, thus making himself the extrajudicial fixer of the Church’s destiny. It is clearly written in the Statutes of all the Local Churches that primates are liable to judgement of their own Church , and there is no provision whatsoever about legal appeals to the PC as the ultimate instance of church disputes. And the PC’s claims to the supreme judicial authority are strikingly similar to the Catholic papist doctrine: “Peter and his successors have the right to freely pronounce judgment over the whole Church, and no one should at all revolt against or shake their state; for the highest see can be judged by no one (summa sedes а nemine judicatur)”. Are those who recognize the HCU’s autocephaly agree to accept such innovations based on this tomos? Every Local Church should be necessarily asked this question before they make final decisions. 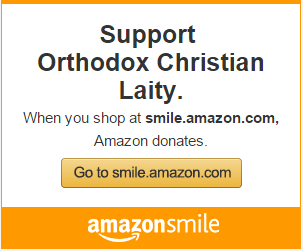 Subjecting the whole Orthodox diaspora  in the world to the Patriarch of Constantinople and restricting the work of Local Churches to the boundaries of their initial national states. In the tomos, this idea is prescribed first for the HCU, whose church life should be lived strictly within «the geographical boundaries of Ukraine…, without being henceforth entitled to establish bishops or found extraterritorial altars in regions already lawfully dependent on the Ecumenical Throne, which bears canonical competence over the Diaspora, but instead restricting its proper jurisdiction within the territories of the State of Ukraine”. Here, just as in the previous examples, the norm prescribed first to the HCU, is presented as universal and commonly accepted by all the Local Churches (already lawfully dependent on the Ecumenical Throne, which bears canonical competence over the Diaspora”). The PC’s right to possess the world Diaspora is asserted without any negotiation with other Churches. The Local Churches recognizing the HCU should be ready to abandon their spiritual children, parishes and monasteries in other countries in favour of the PC. Are they aware of this fact? By acknowledging the HCU, Local Churches will have to abandon their spiritual children abroad in favour of the Patriarchate of Constantinople. Recognition of the PC as the supreme authority in dealing with doctrinal, canonical and other church matters. Despite the absence of a convincing justification of its exclusive rights, the tomos demands that the HCU should obey the PC in settling doctrinal and canonical problems: «In the case of major issues of ecclesiastical, doctrinal and canonical nature, His Beatitude the Metropolitan of Kiev and all Ukraine must, on behalf of the Holy Synod of his Church, address our most holy Patriarchal and Ecumenical Throne, seeking its authoritative opinion and conclusive support”. There is no plain statement here that other Local Churches do it as well, because it would be a glaring lie, but there is no doubt that the Ukrainian precedent will be used against other Local Churches, especially those which acknowledge this tomos and the newly-created HCU. Since the PC has usurped the right to final ecclesiastical decisions, the question arises: Where is a guarantee of the validity and correctness of these decisions? If there is no such a guarantee, then there can be no right to such peremptory decisions. But if there were such a guarantee, then one would wish to familiarize oneself with it. So far, it has not been presented to the plenitude of the Church. Moreover, the church history abounds with facts of doctrinal, canonical and moral betrayal of Orthodoxy by Patriarchs of Constantinople. Suffice it to remember that the throne of Constantinople throughout its existence has been occupied by officially condemned heretics whose number exceeds that of the rest Orthodox sees taken together. How can such rights be given the PC after all this? What is before us is a plain evidence of the usurpation of ecclesial power, which belongs exclusively to Church Councils. Are representatives of other Local Churches ready to reject the principle of synodality in favour of Constantinople’s faultlessness in doctrinal and canonical matters? To accept this tomos without settling these matters means in fact to sign a death warrant both to one’s own autocephaly and to the world Orthodoxy . The acknowledgement of the right of the Patriarch of Constantinople to interfere in the internal affairs of every Orthodox Church. The tomos groundlessly states that the PC “is obliged (ὑποχρεωμένον) by a lengthy canonical tradition to care for the holy Orthodox Churches facing difficulties”. Who exactly has obliged it to do it? And on the grounds of which conciliar resolutions? When did Orthodox Churches agree to this obligatory interference? 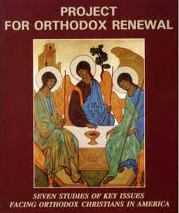 One of the pretexts for the PC’s interference in the internal affairs of autocephalous Churches is indicated in the tomos – it is allegedly the healing of schisms: «In the imperativeconcern of the Great Church of Christ within the Orthodox world for healing long standing schisms and divisions in the local Churches». When did this PC’s imperative concern arise to deal with schisms in other Local Churches? Did other Local Churches agree with such claims? The Istanbul hierarchs do not give answers to these questions, nor can they give them since there is no convincing argumentation for such claims. However, without doubt, all the autocephalous Churches who have acknowledged the HCU will thus prove to be defenseless in face of anxious Istanbul hierarchs. Istanbul hierarchs have repeatedly demonstrated their ability to make an extensive interpretation of their own statements, and they will surely extend this precedent of subjecting some Local Churches to all of them and for good. For instance, the tomos delivered by the PC to the Polish Orthodox Church in 1924 contains a reservation that allegedly the transfer of “the Kyivan Metropolia and the Orthodox Metropolia of Lithuania and Poland, dependent upon it, as well as their incorporation within the Holy Moscovite Church was accomplished contrary to canon law”. Time has passed and Istanbul hierarchs, using the political instability in Ukraine, began claiming the Metropolis of Kiev, referring, among other things, to this reservation in the Polish tomos . Therefore, the conditions set forth in the Ukrainian tomos will be presented to other Local Churches, not straight away but as soon as instability and suitable opportunities for interference will arise in their life. The tomos states that in Ukraine «civil and church leaders have avidly sought its ecclesiastical self-administration over more than thirty years». As far as “church leaders” are concerned, it is a downright lie because, within the mentioned thirty years, they have never appealed to the PC for “ecclesiastical self-administration” because for a long time they have already enjoyed full ecclesiastical independence (since 1990). Furthermore, the PC has ignored over 400 thousand signatures  of the faithful of the canonical Ukrainian Orthodox Church protesting against the autocephaly imposed on them. The tomos has completely ignored the canonical ‘ecclesiastical leaders’ leading an overwhelming majority of the Orthodox flock in Ukraine, but named as such the anathematized and excommunicated self-ordained clergy and schismatics, primarily M. Denisenko, who were considered by the PC until recently to have fallen away from the Church. From the opposite side, what had been brought from Istanbul were resolutions made by some Ukrainian politicians who have an incredibly low confidence rating among their own people. For this reason, the further words in the tomos “…thereby further echoing previous similar requests periodically addressed by its people to the most holy Apostolic Throne of Constantinople” are a continuation of the shameless lie. The tomos is overfilled with the PC’s self-elevation over all the autocephalous Churches and appropriation of absolute designations. For instance, «the Great Church of Christ” is a designation proper for the whole Orthodox Church but not for any Patriarchate. However, the PC “humbly” appropriates it and expects an appropriate attitude. The HCU for the PC is a “daughter” that the rest of the Local Church should accept as a “sister”. This implies that the PC conceives itself as “the mother” of all the Local Churches. In other words, subordinationism is thus built with the PC on top as the universal “mom” and her “daughters” beneath her. It is interesting to note that in the tomos of the Polish Church (1924), the PC confesses it as a “spiritual sister”. As we can see, for the past years the PC’s status self-evaluation has considerably risen. The PC “humbly” calls itself “The Center of Orthodoxy”, although it is strange that this notion should be applied to a throne that has fallen into heresy more often than the rest primates of Churches taken together. The acknowledgment of the PC as «the Center of Orthodoxy” and “the Great Church of Christ” despite all the lawless actions and falsehoods contained in the Ukrainian tomos. In addition, by entering in the liturgical communion with the HCU schismatics and self-ordained clergy, the clergy of Local Churches will grossly violate Canon 10 of the holy apostles: “If any one shall pray, even in a private house, with an excommunicated person, let him also be excommunicated” and Canon 33 of the Council of Leodicea “No one shall join in prayers with heretics or schismatics”. The provisions of the tomos have a single purpose – to implant in Orthodoxy the heresy of papism. To be brief, all the PC’s claims indicated in the tomos have a single purpose to implant in Orthodoxy the heresy of papism according to which it is no longer Christ but the Patriarch of Constantinople who should be acknowledged as the head of the Universal Church, and his will is to be obeyed always and in everything. Therefore, the HCU tomos is not only a play up to the interests of Ukrainian politicians and legalization of the schismatics and self-ordained clergy but, more importantly, it is a declaration of the heresy of Constantinople’s papism sealed by the signatures of Patriarch Bartholomew and all the PC supreme hierarchs. The Local Churches who have acknowledged the tomos not only demonstrate their readiness to obey the new pope but also assume responsibility for the assertion and propagation of the heresy of Constantinople’s papism in Orthodoxy. It is my conviction that if this idea is properly realized by the supreme leadership of Local Churches, then the wish to reject the Ukrainian church adventure organized by the PC will be a commonly accepted and salutary not only for the world Orthodoxy but also to the Constantinople hierarchs who seem to have already decided that ‘the vineyard of God» has become their own property (cf. Mt. 21:33-41). Self-ordained clergy – the priests and deacons who have fallen away from the Church and, in order to continue the existence of their organization, have committed sacrilege by ‘ordaining’ the bishop for themselves through laying the hands of priests on the n elected candidate. In the 20th century, this was how ‘the Ukrainian Autocephalous Orthodox Church’ (UAOC) was created, in which, contrary to all canons (Apostolic Canon 1; Council of Antioch Canon 19; First Ecumenical Council Canon 6, etc.) a person excommunicated from the Church, Archpriest Vasiliy Lipkovsky, was ‘ordained’ by suspended protopresbyters and laymen through the laying on Lipkovksy the relics (hands) of the Protomartyr Makary, Metropolitan of Kiev. This sacrilegious act was repeated at the consequent ‘episcopal consecration’ of Archpriest Nestor Sharaevsky, who had been excommunicated as well. In this way, the ‘hierarchy’ of the UAOC Church was organized out of ‘clergy’ to become called ‘self-ordained’. In 1995, the PC admitted to its jurisdiction the self-ordained clergy of the UAOC in North America. The ‘hierarch’ of this self-ordained clergy is represented by the present head of the UAOC in Ukraine, Makary (Maletich), a sustained priest who has been still acknowledged by the PC in his present rank, just as all the other ‘self-ordained’ clergy in Ukraine. For the analysis of the tomos, the text placed on the PC official website was used https://www.patriarchate.org. Cf., for instance, in the Statute of the Russian Orthodox Church http://www.patriarchia.ru/db/text/133121.html. The Orthodox Diaspora – the Orthodox faithful in various countries and Local Churches who live and lead a full-fledged church life in countries in which most of the population are non-Orthodox. Among them are countries in North and South America, Asia, Australia, Western Europe, etc. Claims to exercise the ultimate right to make decisions on common ecclesiastical and canonical issues are invariably present in Patriarch Bartholomew’s speeches. For instance, during the Synaxis in September 2018, he said, “The Ecumenical Patriarch bears responsibility for the solution of problems in ecclesiastical and canonical order, since he alone exercises the canonical privilege to fulfil this lofty duty” – https://www.uocofusa.org/news_180901_1.html.